I’m pleased to say that I’ve been contacted by some Sinclair fans in Croatia who are planning an exhibition of early computers. They’ve acquired 300m2 of space in Rijeka and they’ve assembled with great affection a collection of early ZX81, Spectrums and other early computers. The exhibition opened on 22nd September and more information can be found at www.peekandpoke.org. 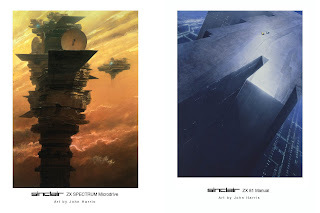 These A3 prints of the illustrations for the manual covers can be bought directly from me for £25 each plus postage. Email your order to me. 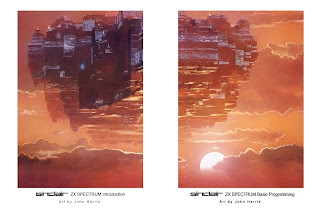 This entry was posted in John Harris, Originals for sale. Bookmark the permalink.